The future of land speed racing at the Bonneville Salt Flats is in jeopardy! Your help is needed in asking Congress to restore this legendary race venue by securing the funding required. 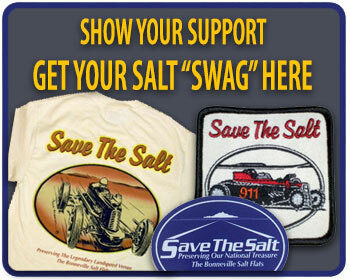 The Bonneville Salt Flats International Speedway has decreased from 13 miles to less than 8 miles. 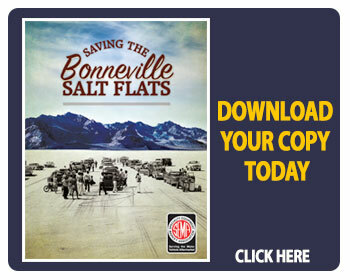 Members of Congress need to hear from you and help restore Bonneville before it’s too late! DON’T DELAY! Request immediate action from your members of Congress by clicking on the link below. Want to be of greater help? Post this request and link on your website and share with others in the motorsports community who may not see this important action item.